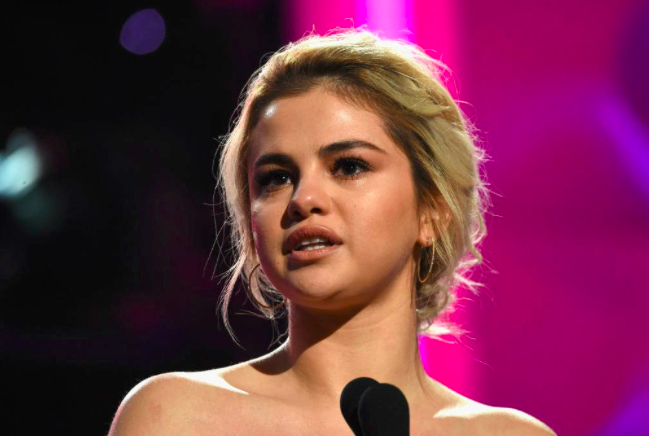 The famous singer and actress, Selena Gomez, received her Kidney Transplant from a fellow entertainer, actress, and her best friend Francia Raísa. After suffering from Lupus and Kidney Failure, Selena was able to avoid Dialysis entirely, unlike the other 600,000 patients who are currently conducting treatments. Still, Selena remains vocal about Chronic Kidney Disease, Kidney Failure, and what Kidney Transplants mean for the recipient and donor. Although Gomez has been open about her battle with Lupus for several years, many were shocked when she unexpectedly announced that she had received a kidney transplant from her best friend Francia Raísa. Afterward, searches for Living Kidney Donation jumped by over 300%. “My kidneys were just done,” Gomez explained in an interview with TODAY SHOW'S, Savannah Guthrie. “That was it, and I didn’t want to ask a single person in my life. The thought of asking someone to do that was really difficult for me. She volunteered and did it. And let alone someone wanting to volunteer, it is incredibly difficult to find a match. The fact that she was a match, I mean that’s unbelievable.” Selena's Kidney Donor, Ms. Raísa later revealed that Selena experienced a potentially fatal health scare after the transplant surgery. Having a high profile celebrity talk about Chronic Kidney Disease and Kidney Transplantation allows more people to understand the idea of becoming a selfless Living Kidney Donor. When they see Selena and Francia (click here to view Francia Raísa), it highlights how safe and life-changing donation is and what it could mean for a patient on or nearing Dialysis. How are you making more people aware of your need for a Living Kidney Donor? Do you support Selena’s actions? Share your thoughts and insights with the nearly 68,000 Friends who have liked KidneyBuzz.com on Facebook (click here). While you are there, like the KidneyBuzz.com Facebook Fan Page and visit KidneyBuzz.com regularly (250,000 monthly viewers) for the latest tailored breaking news and information which teaches those with Chronic Kidney Disease, Dialysis, Kidney Transplant, Diabetes, and High Blood Pressure how to better manage and improve their lives. You may become a regular visitor like, Charles Griffin who said, "Praise God for KidneyBuzz."